Karen Pleva, Global Head of Pharmaceuticals & Life Sciences at Sodexo guest blogs about becoming the Chair of the Living Wage Foundation's Recognised Service Provider Leadership Group. Our Recognised Service Provider scheme recognises those who provide a service and champion the living wage through their contracts. I can’t tell you how delighted I was to be asked to chair the Living Wage Foundation’s Recognised Service Provider Leadership Group . Am I a professional committee member/chair person? Very definitely not. The real Living Wage matters to me deeply for personal reasons – I used to be a front-line employee, and at the time was the breadwinner in my family. My father had died when I was 21, and as the oldest of 5 kids, we still had little ones at home. At that time, there was no such thing as the Living Wage movement, so I ended up with multiple jobs to bring home enough money to keep it all together. My mother at that time was also working very hard, for very little pay so I know first-hand how it can feel when you have no cushion, when you must work several jobs just to live and where you are making choices between fuel, food, or school trips. Today many people still live in that bleak reality, but for others the world is changing. The real Living Wage movement has made a difference to many people’s lives and continues to grow year on year as the “right thing to do”. 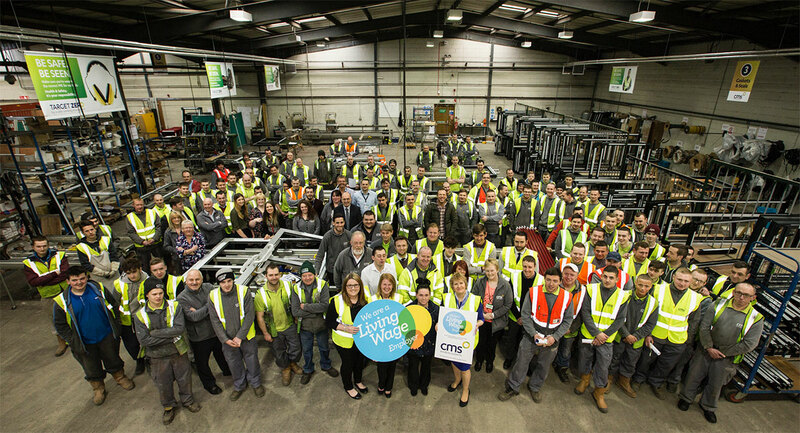 Being able to work with other committed people from across our industry to support the Living Wage Foundation is an honour, and opportunity to give something back – in our business, we have nothing except our people who serve our customers so well every day. The legal living wage has improved, but make no mistake about it, living on £7.83 per hour compared to £10.55 per hour in London, or £7.83 compared to £9.00 outside the capital makes a significant difference. Our job is to support the Living Wage Foundation to continue to challenge the market to move towards the real Living Wage. We are also interested in moving the conversation forward on other areas of work life that matter – flexibility of hours, training, development etc. The real Living Wage is the first step, let’s work hard to get more people into the circle, and give those that are already on the real Living Wage an even better quality of life and even more choices in the future. You can join over 100 service providers championing the real Living Wage one contract at a time, by becoming a Recognised Service Provider today.